Well, because before these existed, there were pedals with toe clips. Toe clips are the cages that go on a regular platform pedal that help keep your foot in place. 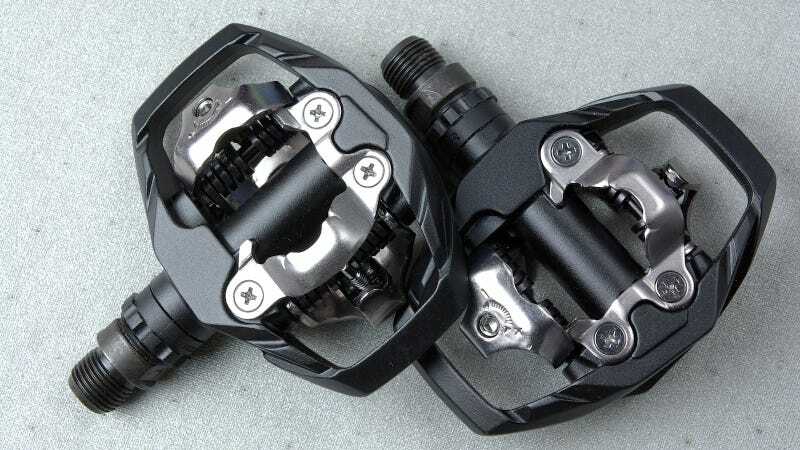 They don't clip onto your pedals and they don't clip onto your foot, so it's really a dumb name for them, but because they already existed, these newer pedals which actually do clip in had to pick another name. For some reason, they chose "clipless." But while the name is dumb, the advantages are anything but. Here are just a few of them. Speaking of which, everybody tips over and falls when learning to use clipless pedals, at least once. For that reason, practice in an area without hazards as much as possible. For God's sake, do not use them in a race until you're really confident with them, because you could literally kill somebody. They're also a serious commitment; you have to wear bike shoes with cleats on them, which means you'll probably need to haul your regular shoes in a backpack.